The ISV takes advantage not only of the most ancient manuscripts available, but also of the most recent archaeological discoveries. 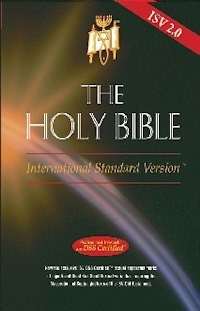 The translators of the ISV have selected English equivalent words that most closely reflect the meaning of the original Hebrew, Aramaic, and Greek texts. Teaching biblical truth demands extreme fidelity to the original text of Scripture. However, a translation of the Bible need not sacrifice English clarity in order to maintain a close correspondence to the source languages. The goal of the ISV, therefore, has been both accuracy and excellence in communication.